Natures Home Spa: Green Tea Soap Recipe: Hot process that looks like cold. Green Tea Soap Recipe: Hot process that looks like cold. same recipe, the only difference being the essential oils added. Soap on the left had peppermint e.o. the right had lemongrass. The soap with peppermint was noticeably lighter. Both came out really smooth, look cold process. I love to make hot process when in need of soap quickly! I also enjoy using tea. Tea has worked great for me in the hot process method as well as cold. The lemon e.o. handled the hot process really well as did the peppermint. They went to trace quickly and were done in the crockpot in 15 minuets. No kidding. Maybe less. I brewed the tea in rain water I had frozen in cubes, rain is exceptionally soft water. Smooth bars of hot process soap. I recommend a supperfatting to 5-6% . I did it at 5% to make the bar harder, for some reason my tea soaps are always softer, not sure if its the tea or the essential oils. up over night. I added honey and essential oils at trace, total of oil and water is 60 oz. 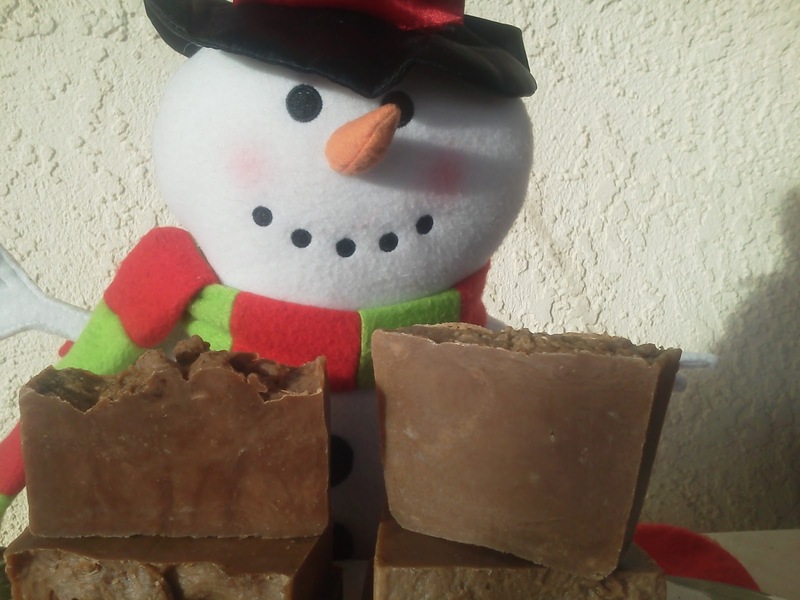 Watch, watch, watch your crock pot, this soap GOES FAST! It's alot of fun to make. Comment below if you would like full recipe. Always wear protective goggles, gloves and other safety clothing when handling lye, it is caustic and will burn you! Always use a lye calculator found on-line if you change any ingredients in a known soap recipe, you MUST recalculate the lye amount ! Be safe, and enjoy ! 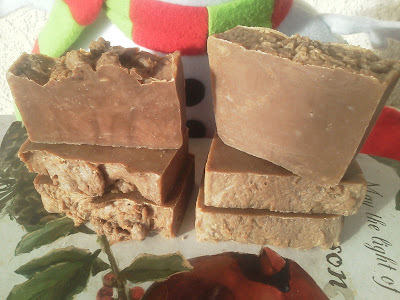 Here are 2 RECIPES I used to make this soap, they both worked beautifully and made smooth bars of soap with luxurious lather. Recipe 1 is a smaller batch of soap made with easy to come by oils, Recipe 2 is a larger batch with different oils/butters. different recipe, but the process is the same. Wow! Great looking bars of soap Anna! You asked if you could use a Pringles can to mold round soaps, YES you can - our family never ate Pringles before I started making soap but they do now. Quart size milk and half and half containers work well too if you like small square soaps. 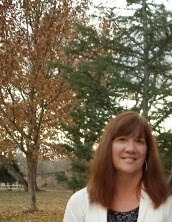 I noticed you are in Arizona, I'm a couple hours away from you in Parker along the Colorado River, 35 miles form Lake Havasu. I'm off to browse your blog and enjoy. You might have an awesome Health Food store in your area that carries them too. Jan, thanks for the link! We actually do have several great Health Food stores here, think I'll check it out so I can make this sooner. I love your blog and can't wait to try these soaps! Could you please list your recipe for us? I haven't made soap yet because I have been nervous to try, but you make it sound doable for me, so I am ready to take the plunge! I will let you know how it turns out, so wish me luck! Hi Cyndi, thanks for the soap request, I would love to give you this recipe. Yes, making soap in your crock pot is definately doable, like you I was nervous about it, but it turned out to be a blast. 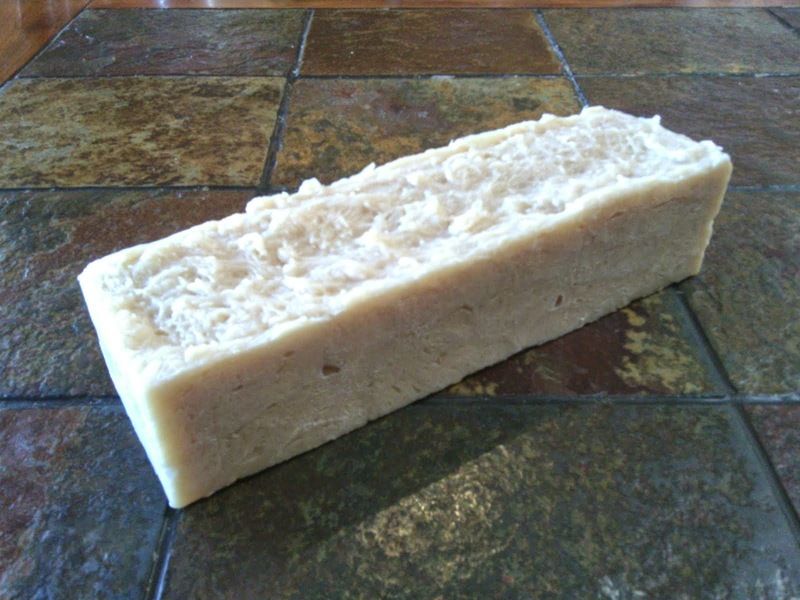 There's nothing better than an awesome bar of soap you made yourself! So rewarding. 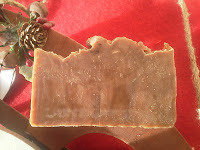 I am working on a step-by-step photo tutorial on crock pot soap right now, and will post it with recipe. This should help you get started in your new adventure of soap making! Please check back for tutorial. 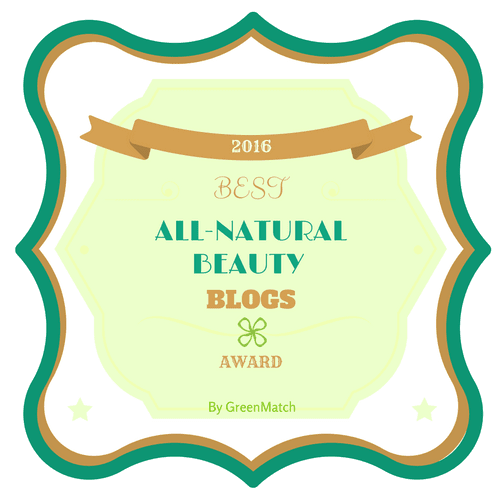 Hi Anna, do you have a herbal skin care product made of something like tulsi herb? I found this tulsi tea and got curious if it has a same effect just like a green tea extract if it will be used then will make it into a soap? So sorry for the late response, don't know how I missed your request. Anyway, there are 2 recipes included at the bottom of the post. If you need anything else, let me know. Glad to help. Could I sub palm oil, palm kernel flakes, shea, illipe, cocoa or kokum butter (or some combo) for the lard in this recipe? Also, my hp always feels like crayon. Am I over cooking? Thanks for all of you efforts. Yes you can substitute the lard in this recipe. I'll email you some of my favorites. About your HP soap feeling like crayon. Do you mean it feels waxy? It could be the recipe. Overcooking leaves the soap dry, clumpy when you put it in the mold. If you'd like, send me a picture of it, with the recipe and I'll see if I can help. Thank you so much for responding and the recipe. Your soaps are so beautiful. I really believe I am an 'Over'-over stick blender, overcooker, over tinkerer (can tell when to stop swirling, peaking, sprinkling, the tops of my soaps). Oh my gosh Sharon, you are so funny! Yes, I believe we all can over-do our soaps! 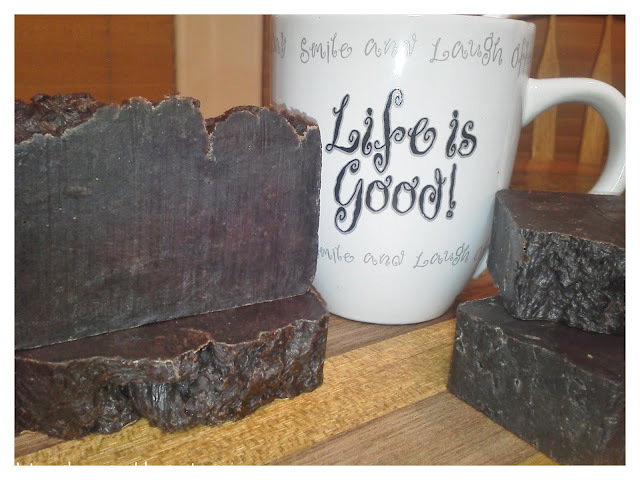 I don't know how many times I've re-done my soap top until it was too dry to do anything but give it the ole "rustic top" LOL! Would love to see any soaps you make! Share them on my FaceBook page if you'd like! Hello! I know this post is four years old so I don't know if you will see this comment or not, and if you don't that's ok! I'm just wondering, do you think it is the green tea that makes it come out smoothly with hot process, or any tea in general, or the oils that you made it with? 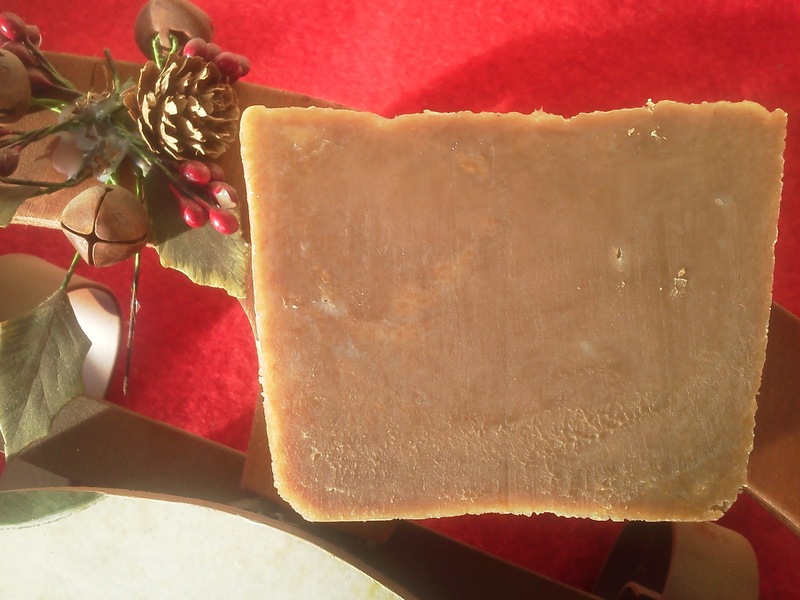 I'm asking because I want to make some soap to stick in stockings this Christmas and I obviously don't have time for CP, and I really want it to turn out nice and smooth! I don't have green tea on hand, but I have some lemon ginger herbal tea. I could easily go get some green tea if you think that is the key! Thanks so much! That's a really good question, thank you for asking. Honestly, a HP soap can come out smooth like CP with most liquids, not just the tea. I've found that it is in not over cooking your HP soap as well as the water ratio that makes it turn out smooth like CP. I've come to prefer HP over CP now since the soaps come out smooth and fluid enough to swirl. If I can be of any help in the HP method of soap making, let me know. I have a basic recipe that I use now that has a hardness of 45 on the soapcalc calculator, a conditioning of 51, and a bubbly of 21. These are all really great numbers and make a very well balanced bar of soap. The oils used are palm, coconut, castor and olive oil. 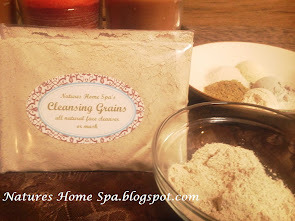 natureshomespa@gmail.com , I'm happy to help!